This will be my one and only off-topic posting, but I just have to share all my joy and happiness with all of you! 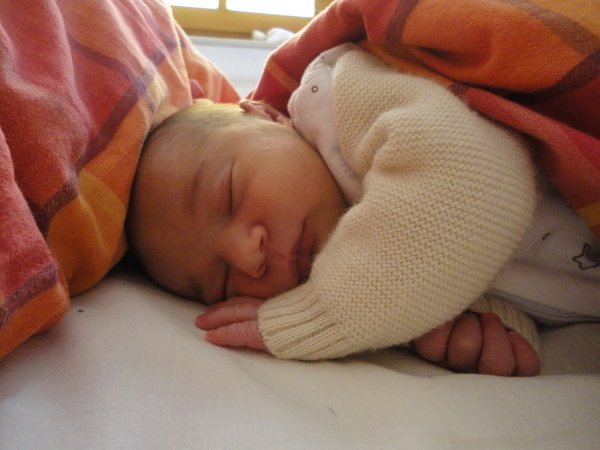 On monday, April 14th 2014, our beautiful daughter Valerie was born. As we almost live next door to our midwife, we just grabbed our stuff and walked over to the midwife's house, as my wife told me "things are starting". My wife was very glad to be able to give birth in such a beautiful, cosy and comfortable place, with no hassle, no beeping machines and nervous hospital staff running around. This helped her to "let go", and she gave birth to our beautiful daughter after about 2 hours. I took a 4 week break from work to support my wife and daughter. This is quite involving , so please forgive me if I don't reply quickly to your mails.